On Site Gas Systems will demonstrate a selection of their nitrogen and oxygen gas generators during the 2009 National Manufacturing Week. 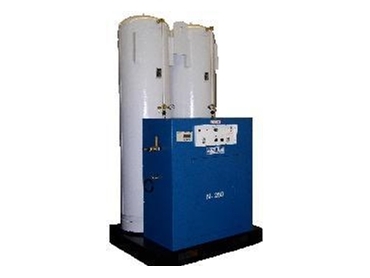 The nitrogen and oxygen gas generators can be used in a variety of industries and applications, from electronics manufacturing to tank blanketing and inerting, and from laser cutting to food and beverage packaging. Standard features include integrated touch-screen control panels housing system controls, critical system indicators, maintenance schedules with alarms, and an in-built product gas analyser for real time monitoring of the purity of the gas stream. The nitrogen systems are available in purities from 95% to 99.9995% with flows exceeding 2000 cu m an hour possible from a single unit. Pressures up to 300 bars can be accommodated. These systems can also be fitted with On Site Gas Systems’ purity exchange valve, which allows users to generate up to three different purities from the one system. On Site Gas Systems’ oxygen systems are available in 95% and 99% purities with flows of more than 100 cu m an hour possible from a single unit. Pressures up to 150 bars can be handled. According to On Site Gas Systems, the generators eliminate the constant changing over of high-pressure cylinders and the hassle of cross-checking liquid delivery dockets and invoices.